Just about every household in first world countries like the US has a vehicle parked out in their yards. If you do the obvious Math, most of them account for the morning and evening traffic snarl-ups witnessed on major roads. Surprisingly many road users constantly fault their devolved governments for failing to tame this thorny issue. The brutal truth is that they are also part of the solution; fortunately, it is not the end of the world, and they can still do more to save the situation. First, they can ditch their ‘private cars’ and make more use of public transportation systems. Second, they can hitch rides to work with their neighbors and friends. At the risk of looking like a freebooter, come up with a clear rotational plan where each person will offer their car for carpooling. Arithmetically, less number of vehicles will gradually free the roads of traffic jam. You won’t have to worry anymore about making it home on time. Global warming threatens human existence. Sadly, human activities are the major contributor to this factor, for example, the carbon emitted by vehicles is both toxic to the environment at large and to the human health in general. The pleasure of riding alone in a cab and driving around solo in an air-conditioned car is sometimes too hard to resist. After all, peace and tranquility is why most commuters prefer taxis to public transport. Unfortunately, the end results are quite catastrophic. Shelving some of these ‘selfish needs’ by carpooling will lower the threat posed to us and the atmosphere. The rising cost of living has many desperately scratching their heads for ideas on how to save. The escalating fuel prices alone have soared prices of essential commodities. This is particularly grim news for motorists because they need fuel to go from point A to point B. Desperate times call for desperate measures. Carpooling can mean cutting the fueling cost to nearly half. It only gets better. The cost can sink even further depending on how many people you chose to carpool with. Loneliness loves good company, especially when on a long drive. The sound of the radio playing in the background, the occasional hoots and flashlights from oncoming cars is not what every traveler looks forward to. Just the thought of this will dampen the mood of the journey even before you set off. If you’re lucky enough to survive this, then the muscle pulls and body ache sustained from the nonstop and unaided driving will definitely get you if not get to you. 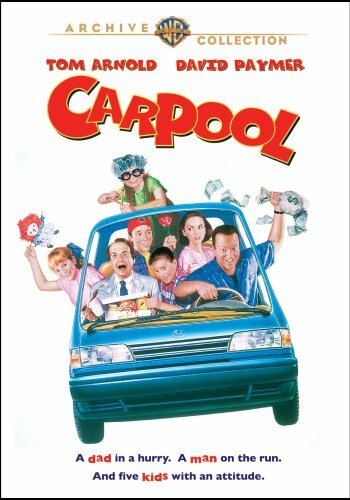 When you carpool, now that paints a totally different picture. You gain a co-driver and you might even reach your destination without feeling the need to turn on the radio. In conclusion, carpooling does more good in our lives; it adds value to it. Very true, more people should do this. Although you need to be selective in who you let drive you around. Do not take chances with your lives. You need a reliable driver that drives with his/her eyes on the road not one that is looking at you while driving. Thanks for sharing this.